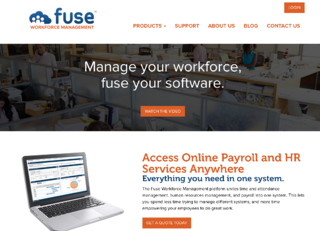 Fuse Workforce Management is a Human Resources Management System Provider. They primarily focus on companies with 200 to 1000 employees that are looking to transition to a more integrated Payroll & HR Solution that includes time and attendance, benefit management, and many other functions all in one system. With the Affordable Care Act (ACA) transition coming up at the beginning of 2016, it was important for Fuse Workforce Management to be well-positioned to take advantage of the interest in ACA compliance. For companies with more than 50 employees, the ACA transition meant they now needed to be able to account for how many hours all of their employees were working and report on offers of health care coverage. They would need to research to find solutions that could help them tackle these tasks. This presented a huge opportunity for Fuse Workforce Management. Incorporating detailed keyword research and content mapped out to guide the target personas through the buyer’s journey, Jaxzen Marketing Strategies developed a content strategy to take advantage of the increased interest around the Affordable Care Act. We started with in-depth research about the new ACA regulations to understand what concerns they would present for our target companies. Once we had a solid grasp on the topics that were likely to come up at the beginning of the year, we did some detailed keyword research to learn how HR professionals looked for their information on this issue. Based on this, our goal for Fuse was to grow their traffic by 8% month-over-month. We determined a number of keywords that we would want to use in our content, focusing on specific terms unique to the Affordable Care Act. Starting with over 100 potential keyword phrases, we narrowed our list down to 10 we felt were strong opportunities. The fact that many of these search terms had historically low search volume presented a challenge, but based on our research, we predicted these words and phrases were likely to see big increases in search traffic with the coming transition. Additionally, we wanted to make sure we had the appropriate conversion opportunities on the website to convert new visitors. To do that, we developed content offers for different points along the buyer’s journey. We included top of the funnel offers (including ebooks and one-page cheat sheets) that were easy for people to convert on, as well as offers for ACA compliance consultations once an individual had moved further down the funnel. The results for Fuse Workforce Management exceeded our ambitious goals. Our goal for traffic growth in Q1 was 8% month-over-month. We saw an average of 40% growth in traffic each month. Q1 had a total traffic growth of 168%. Even more exciting was that a huge portion of this growth came purely from organic growth - a clear validation of our keyword strategy focused on the Affordable Care Act. Organic traffic saw an average increase of 48% per month in Q1, and in total increased 221% over the entire quarter. Much of it was coming from people looking for help with ACA-related searches. In addition to traffic increases, we also saw substantial new contact growth as well. In total, we saw a 25% increase in new contacts generated during Q1. Overall, the large increase in targeted traffic that’s relevant to Fuse Workforce Management is a big win. The pages that are ranking for important keywords will continue to attract targeted traffic, namely, companies looking for help with ACA compliance. 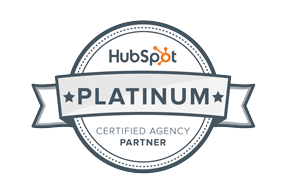 Our keyword strategy and content creation efforts will pay dividends well into the future.